Turning organizational differences into dynamic discourse. The Kantor theory of Structural Dynamics improves face-to-face communications – helping turn interpersonal differences into dynamic discourse. In our systems-based model of communication, the Baseline Instrument is one of our consulting tools that integrates theory into practice. The Kantor Baseline Instrument measures everyday communication tendencies along three dimensions: action modes, operating systems and communication domains. 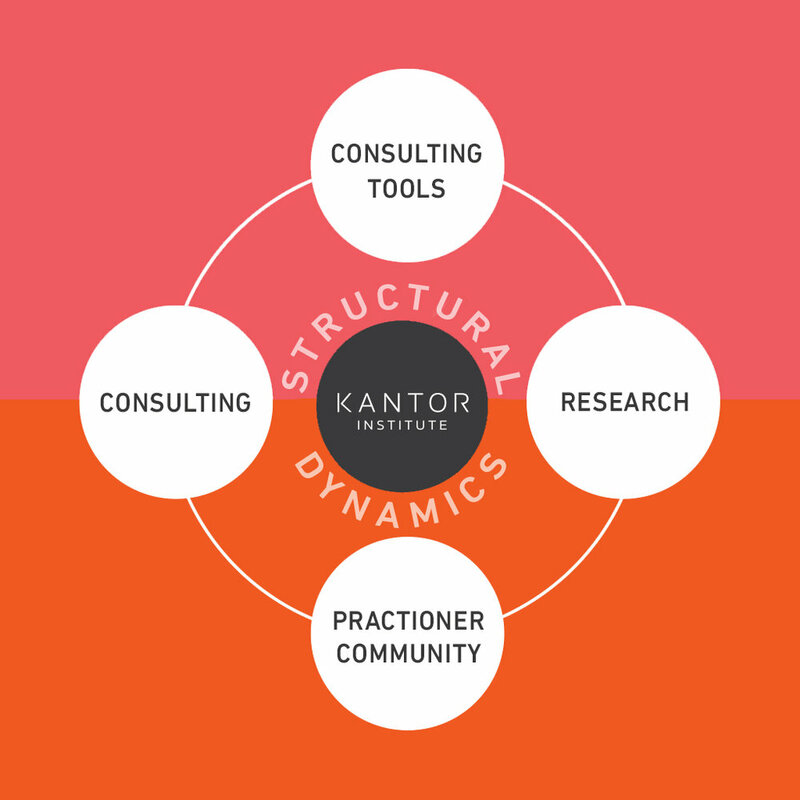 With Kantor Structural Dynamics Licensed Practitioners, individuals, teams, and organizations can utilize detailed reports to discover their Baseline Profile and develop conversational depth range and fluency. Licensed Practitioners are trained and certified to use our tools and apply the theory of Kantor Structural Dynamics in their consulting practices. We engage with leaders of global organizations to help build their models, striving for more effective, mindful and interpersonal communication. With our global network of seasoned consultants and affiliated organizations, we are able to connect you with Licensed Practitioners in your region for consulting services that work for you. We offer a series of accredited programs for individuals and organizations to become trained in Kantor Structural Dynamics theory, and licensed to administer the psychometric instrument. Our programs are designed and led by seasoned practitioners who enable leaders, change agents, consultants, and facilitators to turn conflicts over differences into a productive discourse. The Kantor Institute continues to empirically validate the effectiveness of Kantor Structural Dynamics. Kantor’s Structural Dynamics Theory grew out of breakthrough federally funded research—A study in vivo of Face-to-Face-Communication—which revealed the same fundamental structure to all communication in closely held systems. Use the form below to contact us for any further information. An affiliation of seasoned researchers, consultants and practitioners dedicated to advancing the application of Model Building and Structural Intervention for the implementation of change initiatives at all levels. © Copyright 2017 The Kantor Institute. All rights reserved.